+$... complete with a questionable name and underwhelming branding. +$In a bid to take on Netflix and Amazon Prime, BBC and ITV have teamed up to launch BritBox in the UK. The new streaming service will consist of old programmes from the channels, as well as new material. What it won't have is the latest shows, which will still be available for catch-up via BBC iPlayer and the ITV Hub. +$As of yet, there is no information on how much this service will cost, although the announcement said the pricing would be "competitive". The service is already available in Canada and the US, but people in the UK are already wondering why they should pay for this content when they already pay a licence fee. +$And that's not all that's causing furore on social media, as designers are also taking issue with the branding, which is... rather underwhelming. Especially when you consider the service's competitors –+$Netflix's New Idents+$manage to bring some cinematic flair magic into subscribers' living rooms. No such magic here. +$Some have compared the wordmark to the National Express logo, while others are riffing on the name, calling the service BirdBox, or worse, ShitBox. We couldn't possibly comment. +$And of course, there's also talk of Brexit (or BrexitBox), with some pointing to the red, white and blue colours as an appeal to nationalism. 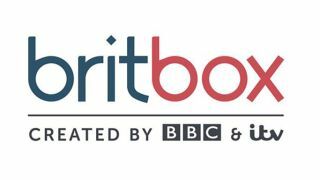 Others might wonder if the idea of BritBox was cooked up in a bid to warm our hearts to the joys of British TV and make us all feel patriotic. If that's the case, it doesn't seem to be working so far. +$This is one of those situations where you wonder what sort of branding would have pleased people. A new, shiny identity would surely have led to cries of "my licence fee money went on this! ", although it does feel that more effort could have been made to at least enhance the wordmark, especially as this service is supposed to be the new "home for the best of British creativity," according to Carolyn McCall, CEO of ITV. +$Here are just some of the reactions to the branding on Twitter.